I’ve lost count how many times I’ve questioned whether the decisions I’ve made on this journey were the right ones. I’ve listened to countless opinions about my marriage. Rob’s drinking. Recovery. Relapse. Our family. Our girls. My parenting. I’ve learned to finally say without apology that you don’t really know what you’ll do until you’re living through it. You can think you know, just as I thought I knew what I would do if Rob relapsed again, but until you’re faced with trying to survive your world falling apart…again…you don’t know. You can make plans and threats and promises and run through every what if scenario – in your head, with your spouse, with your best friend, a counselor…But until your heart is shattered and you have to choose daily which road to walk down, you don’t know. Friend, please hear me. They aren’t living in your home…in your marriage…in your heart. If you stay, you will be judged. If you leave, you will be judged. Even by people who love you, because they can’t understand. Your decisions are not theirs to understand, agree with, disagree with. Your decisions may look like mine. Your decisions may be the opposite of mine. Your decisions may change daily until your decision becomes an action. And even then. Your decisions may still change. You’ll question every choice you make. Especially when the choice is not to do anything…yet. People who mean well will offer you advice, opinions and prayer. Listen, if you choose, to the advice of those you know to have your best interest at heart or who have walked or are walking the road you are on. Friend, please hear me. 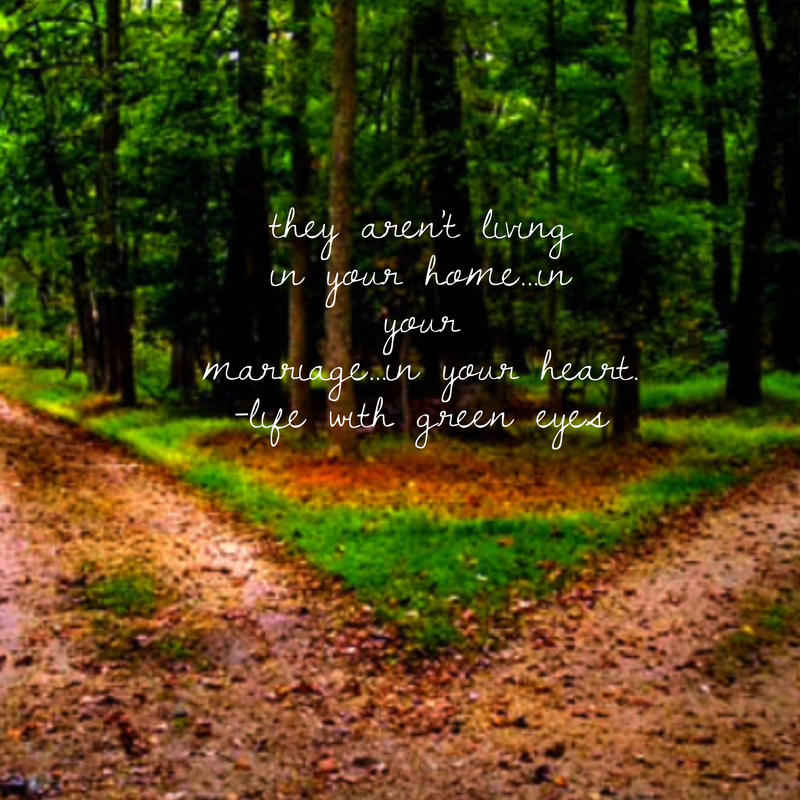 Even those walking this same road aren’t living in your home…in your marriage…in your heart. I don’t know what road you will take. Perhaps you’ll turn down one road that seems to bring you the peace you so desperately need. Perhaps you’ll pick one road today and make a U-Turn a week later. 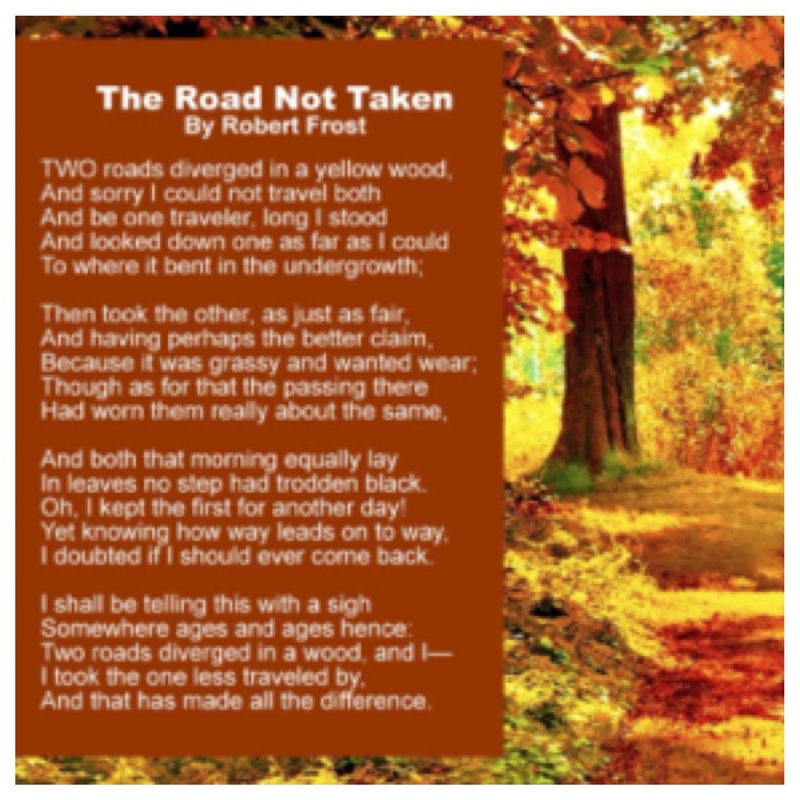 Perhaps you’ll stop and rest right where you are until you find the strength to take the right road for you. Perhaps you’ll run with renewed faith down the road you know to be winding and full of thorns and disappointment. My prayer for you is that your road is filled with peace, love, forgiveness, renewal, hope…and that you never forget that whatever road you choose, you aren’t walking it alone. Thanks for stopping by! If you're on FB, follow me: www.facebook.com/lifewithgreeneyes Instagram @angelastricklin Twitter @angelastricklin Pinterest @Angela Stricklin I'm a wife, mom of three girls and one fur baby. By day, I'm an HR manager to pay for all things girly girl and occasional fur baby treats. I add things to my Amazon wish list instead of my cart because my girls cost All. The. Money. Instead of sleeping, you can find me writing about faith, marriage, parenting and my favorite things on Facebook , Twitter , Instagram , and Pinterest. This entry was posted in Addiction, Addiction is a family affair, Alcoholism, Dealing with relapse, Marriage, Recovery and tagged addiction, marriage, parenting. Bookmark the permalink. What a beautiful post! Thank for sharing your heart. What a hard road to be on. Hugs to you! This is so beautiful. You are a very talented writer. Thank you so much for sharing at Inspiration Thursday!